The national award winning D.E. Dance Company, consists of dancers from ages three through eighteen. It is important for every dancer to have the ability to compete, and grow from on-stage experience, team work, and constructive criticism. We offer select routines to all of our competitive dancers. In addition, the D.E. Dance Company offers auditions for various pieces, as well as solos, duos, and trios to dancers who are ready. Dance Enthusiasm has various teams, based on ability to perform, technical ability, and age including: Minis, Petites, Juniors, Preteens, Teens, and Seniors. The D.E. Dance Company is also proud to offer a Challengers Dance Team, which is for our specially abled dancers, from teens through adults. The Challengers are our most treasured team, and are celebrated throughout the dance community. Competitive dance proves to have many benefits in building self-esteem and body awareness, and we are grateful to offer all dancers the ability to compete, here at Dance Enthusiasm. The D.E. 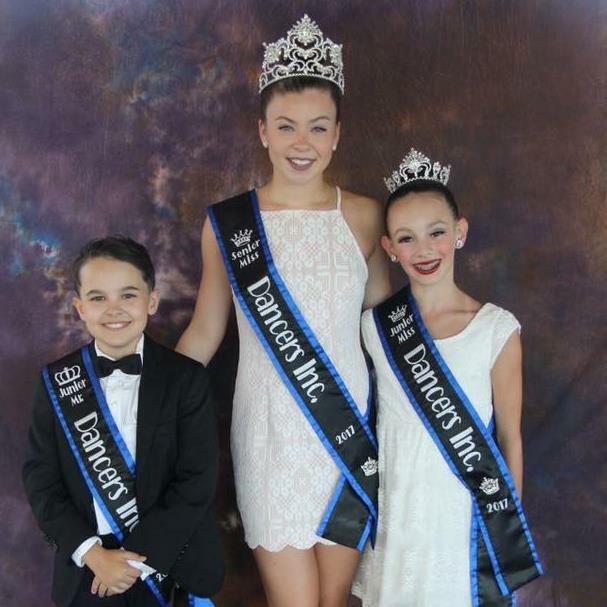 Dance Company recently returned from Dancer’s Inc. Nationals where three out of the six titles were won by Dance Enthusiasm Dancers: Senior Miss Dancers Inc. 2017 Haley M., Junior Miss Dancers Inc. 2017 Sofia P., and Junior Mister Dancers Inc. 2017 Owen M. In 2016, Dance Enthusiasm was honored as top scoring of the entire national competition. The dance team was also honored by the National Dance Competition rankings, as one of the top five competitive dance teams in all of New England.